How do you determine which companies provide legal credit repair services and which you should avoid? Unfortunately, there are companies that use unscrupulous methods for advertising and providing credit repair services. The good news is that you are legally protected from these dishonest organizations. The Credit Repair Organizations Act (CROA) is a Federal law that ensures buyers of credit repair services are given the information necessary to make informed decisions and are protected from unfair or deceptive advertising and business practices by credit repair organizations. So how do you determine which companies are legit and which are dishonest? Companies offering legitimate credit repair assistance will operate within the bounds of the CROA. This means they won't charge you for services they have yet to complete. They'll provide you with a disclosure called the "Consumer Credit File Rights Under State and Federal Law," which details your rights to obtain a credit report on your own and dispute any inaccuracies that appear. You'll also receive a copy of your contract and agree to services before you receive them. And, you'll be allowed to cancel your contract up to three days after signing the agreement, if you change your mind. Here's what companies offering legal credit repair services won't do. They won't ask you to create a new identity or name, lie about your personal information, or ask you to waive your CROA rights. Moreover, they won't advise you to apply for a loan or card under a different (business) name or ask you not to contact your creditors or the major reporting bureaus on your own. Sometimes, sorting out the legal credit repair companies from fraudulent ones may not be that obvious. Below are some additional red flags that may help you quickly sift out the bad apples from the genuine ones. Credit repair takes time. 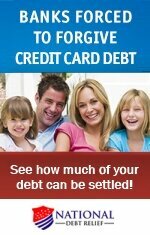 Avoid any so-called credit repair company that promises instant or fast results. If the company offers you a guarantee, do more than raise an eyebrow. No credit repair organization can guarantee it can repair your credit – and especially before reviewing your history. If you come in contact with a credit repair company that you believe has broken the law, take action. Contact the Federal Trade Commission, which governs credit repair companies, by calling 1-877-FTC-HELP (1-877-382-4357). In addition, you can report the illegal company to your state attorney general. Organizations that violate the law can be sued for damages, as well. Debt Relief Grant - Fact or Fiction?